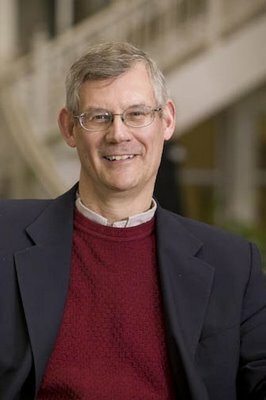 Douglas Moo, a top-notch conservative evangelical New Testament exegete, has recently published a major commentary on Galatians in the Baker Exegetical Commentary series (~450 pp. ; Baker, 2013). I will spend the next six weeks or so working through this commentary as I teach an intensive Galatians course at Northeastern. In this first installment, I will only discuss the introduction (pp. 1-64). The commentary commences with your standard preliminary issues: Paul is author, Moo prefers the South Galatia recipient theory but favors it only slightly, and he dates Galatians to about AD48, “just before the Apostolic Conference of Acts 15” (p. 18). What is the occasion of Paul’s writing of Galatians? Moo argues that it was written to “combat people who are pressuring the Galatians to undergo circumcision and submit to the law of Moses as a means of completing their Christian experience” (19). Is the focal point the question of how one is saved? Moo thinks so, but with the qualification that it is not initial salvation that is in view, but rather “ultimate vindication in the judgment” (20). From pp. 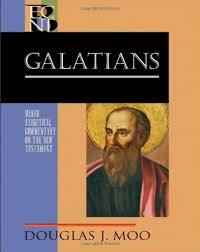 21-31, Moo explores how various interpreters have understood Paul’s argumentation in Galatians. He briefly surveys E.P. Sanders’ perspective and also includes James Dunn. In a footnote, Moo discusses N.T. Wright as well. Moo notes that he does not intend to argue extensively against the New Perspective in this commentary because he has done so elsewhere. But he makes three points on p. 24n. 32: (1) NPP is commended for trying to contextualize Paul’s theology within first-century environment; (2) Sanders’ covenantal nomism theory is contested as a theory – Moo thinks there is evidence of Jewish legalism; and (3) the “staying in” focus of covenantal nomism still points in the direction of works-righteousness. I am not sure Moo’s two critical points are that harmful to the NPP since not everyone follows Sanders on covenantal nomism (e.g., Wright rarely uses this language). Also, Wright and Dunn fully recognize that final judgment is a judgment of works, yet neither of them think that Paul’s reinforcement/articulation of this is legalistic. Moo also challenges readings of Galatians by John Barclay and Francis Watson. Moo lumps both of them together insofar as they both argue for readings of Paul’s Christ/Torah antithesis rooted in “specific and unrepeatable historical circumstances” (p 26). Moo casts both scholars as critical of “a long tradition of theological interpretation of the biblical text” (26). Moo characterizes Barclay as someone who denies that we should move to “abstraction” in Paul’s concerns in Galatians. I found this remark from Moo a bit baffling – I think Barclay is quite good and strong at thinking broadly and theologically about Paul’s concerns in this regard (e.g., see all of Barclay’s work on Paul in the last 8 years)! What seems to be Moo’s concern is not that Barclay or Watson do not make broader theological claims – they certainly do! Rather, Moo wants to read Paul’s concern in Galatians as a problem with “human ‘doing’ in general” (p. 27). So: “A distinction between human doing and human believing, while not the focus in the letter, does underlie the argument of Galatians” (31). But (and this is important, folks), Moo has to make his case for this with Galatians 1-4 primarily in mind. Even if this proved to be true, then he must qualify that this concern (doing vs. believing) underlies part of the letter. He simply cannot make this case for the letter as a whole, since “doing” is quite central to chs 5-6, as Barclay has argued. For most of the remainder of the introduction, Moo treats (briefly, but sufficiently) several major themes. Salvation History and Apocalyptic (31-32). Unlike Martyn, Moo does not seen Salv-Hist and Apoc as mutually exclusive. Moo (I think rightly) sees the “apocalyptic” tone appear in Galatians where we see the victorious and climactic work of Christ. Paul thinks the epochal work of Christ is far more “disruptive” to life than Paul’s opponents recognize (p. 31). But Moo thinks Martyn goes too far: Moo states “The OT is not just a negative foil for the gospel, but also prepares for it in certain central ways” (32). The Gospel (pp. 32-33) – a helpful section. Christ (33-33) – also good. The Spirit (34-35) – fine. The Law (35-37) Here is where Moo’s Luther-like sensibilities come through. Moo recognizes an eschatological dimension to Paul’s concern with Torah – its time is over. But the end of Torah is not arbitrary. Rather, Torah cannot make one right with God because it is a matter of doing and not believing (p. 35). I don’t feel like Moo really answers the why question – why is “doing” such a problem? Another subject Moo treats here is the ongoing Christian use of the OT Law. Moo does emphasize that the OT is Scripture for all believers, but “The OT law has no direct authority over the believer but continues to be an indirect source (under the authority of NT teaching) for the moral life” (37). I think I know what Moo is trying to say, but I am wary of (1) using the word “indirect” and (2) setting the authority of the OT at one removed from the NT or, worse yet, under the authority of the NT! Does that mean the NT authorizes the OT as authority (and then what does it mean in practice that it is ‘indirect’)? Or does it mean that the NT only establishes as authoritative those parts of the OT that are clearly held as continuous for the moral life? This sounds to me like a pick-and-choose approach, which makes one wonder what it means to consider the entire OT authoritative for Christians? [sidenote: I think Brian Rosner is on much, much, much more secure ground in his new work, Paul and the Law where is sees Paul as re-characterizing Torah as ‘wisdom’ for the Christian, rather than law]. The Christian Life (37-38) – fine, but surprisingly short. “The Faith of Christ” (38-48) – a nice overview and helpful reaffirmation of the “faith in Christ” view. Justification/Righteousness (48-62) – probably the most useful section of the introduction. It won’t surprise you to know Moo argues against Wright on the meaning of dik* language in Galatians. Moo thinks that it doesn’t mean covenant membership, but “right standing with God” (with a primary forensic sense). I think Moo is seeing the double-sided nature of the issue when he writes, “Membership in God’s people and justification are closely related, but they are not identical. One entails the other, but they are not the same” (p. 55) – I think this is about right. However, Moo goes on to say that Paul’s main focus is “status before God” (58) – I am not quite sure that is the main focus. (sidenote: on the question of the center of Paul’s theology, Moo says it is “union with Christ,” but justification “is a critical and important means of explicating his gospel”; see 57). Before Moo concludes the introduction (with his textual outline), he gives a very brief discussion of rhetorical approaches to Galatians. I agree with Moo when he states that “Galatians does not appear to fit neatly into any of the major rhetorical categories” (63). Paul may have used some rhetorical conventions of his time, but finding a larger rhetorical framework is only of very limited value. OK, that is the introduction. I was not surprised that I disagreed with Moo on the value of the work of James Dunn, N.T. Wright, John Barclay, and Francis Watson. I also did not find his introductory statements about Paul’s criticism of human doing (vs. human believing) convincing – but I will suspend my complete rejection of his view until I see all his exegetical comments! Overall, though, I found the introduction pretty standard. His discussion of Pistis Christou is commendable and his extensive study of justification/righteousness is worth reading as well. Fascinating review. Thank you. You’ve got me now thinking whether this commentary will be a real advance over Dunn and Logenecker. Paul, Moo is pretty good, but my favorite Gal commentary is Richard Hays’ (New Interpreter’s Bible series). Thank you for thus, Nijay, and I look forward to reading the next posts on this commentary.